This product comes with everything to make this fun interactive math tic tac toe game. All you'll need is a bulletin board space or some type of board to put it on. Students get to play tic tac toe while learning some basic math concepts. 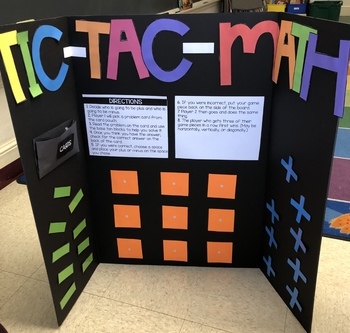 This activity would also be great used as a math center!